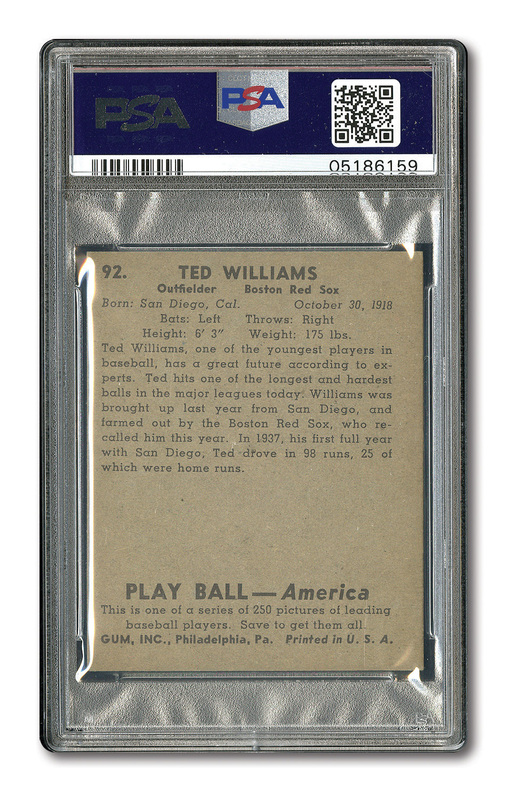 This popular entry from the 1939 Play Ball issue is a must have for avid collectors of vintage baseball cards. This card is recognized as one of the most important rookie cards in the hobby. The Splendid Splinter surprisingly only has one rookie card, and you're looking at it. Displays an image of arguably the best batter in the history of the game finishing his swing with his uniform number 9 showing on his back. 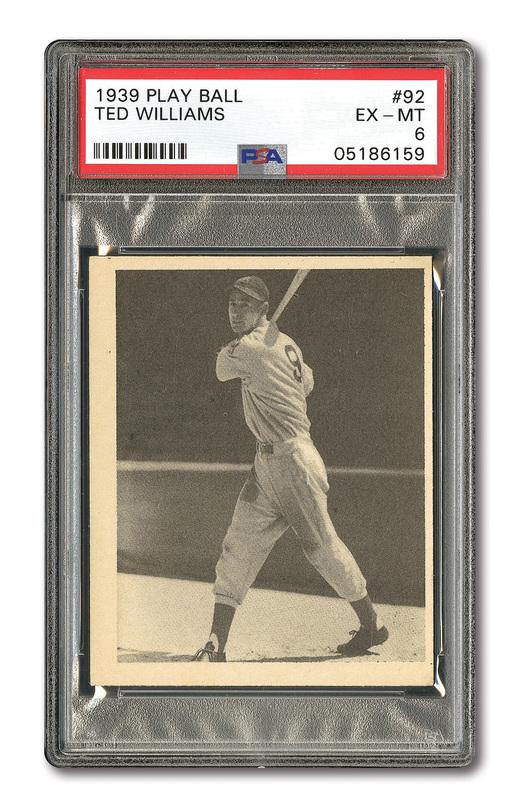 The card is encapsulated and graded PSA EX-MT 6.